The next Venus Transformation contest (VT14) starts on May 11th. Do not attempt to enter your pictures before May 11th. The contest entry form will open on the 11th. 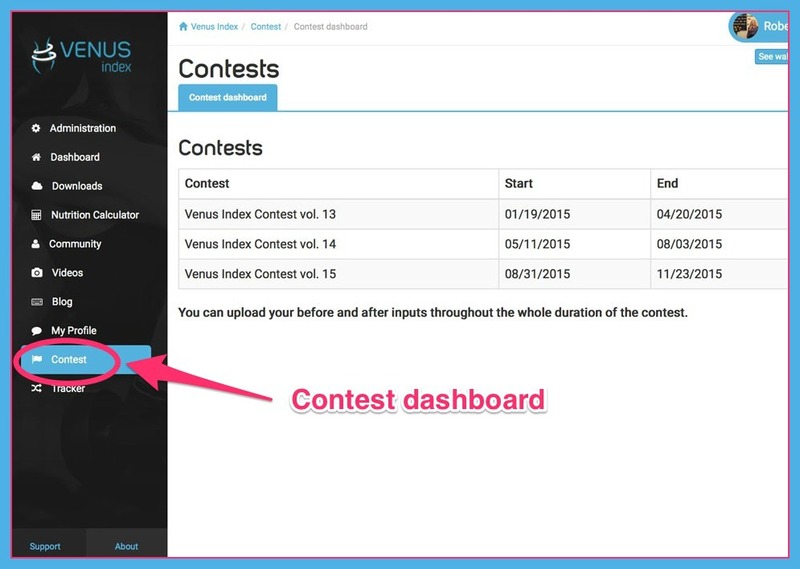 The current contest winners for VT13 will be announced right here on the Venus Blog next Friday May 8th. As many you inside the Venus community have noticed, we have a new online platform. The team behind the scenes is making things better for all of us. Once you get there and click on the contest it will be obvious where to put your measurements and pictures. The pictures need to be full body head to toe. It is very important that for your front, side, and back poses your arms are down at your sides but not covering your waist and that they are full body head to toe pictures. Do not crop out your face or your feet. 4) Newspaper picture – This should be a current issue of the national or local newspaper in order to validate the day you took the picture. You need to take a picture in this same group of pictures with the current day’s newspaper in your hand and the front page visible. This can be in workout clothes, yoga pants, dresses, skirts, or whatever you are comfortable with that also shows your change in shape when comparing before and after. We would like to publish more pictures that are non-bikini like Leann’s picture. 8) Newspaper picture – This should be a current issue of the national or local newspaper in order to validate the day you took the picture. You need to take a picture in this same group of pictures with the current day’s newspaper in your hand and the front page visible. So as you can see, there will be eight pictures to enter. As you make progress during the 12 week contest look for pictures of when you were at your biggest weight. We would like one submitted with the final pictures. We will only use first names for all publications. The only deadline is the last day of the contest, August 3rd.